The vineyard was planted 30 years ago by one of the Edna Valley's winegrowing pioneers, Andy MacGregor. World-class awards were earned by wineries that used MacGregor Vineyard Chardonnay grapes (such as Mount Eden). 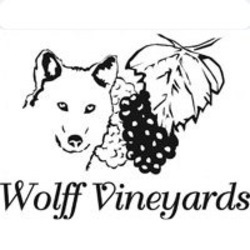 The new owners, Jean-Pierre and Elke Wolff, renamed the vineyard in 1999 when they expanded the vineyard and added their artisan winery. The vineyard includes 55 acres of Chardonnay and 37 acres of Pinot Noir grapes. Twelve additional acres are planted in Teroldego, Syrah, Petite Sirah and Riesling. The 30 years old Chardonnay blocks are dry farmed, giving the wine a site-specific "terroir" characteristic.